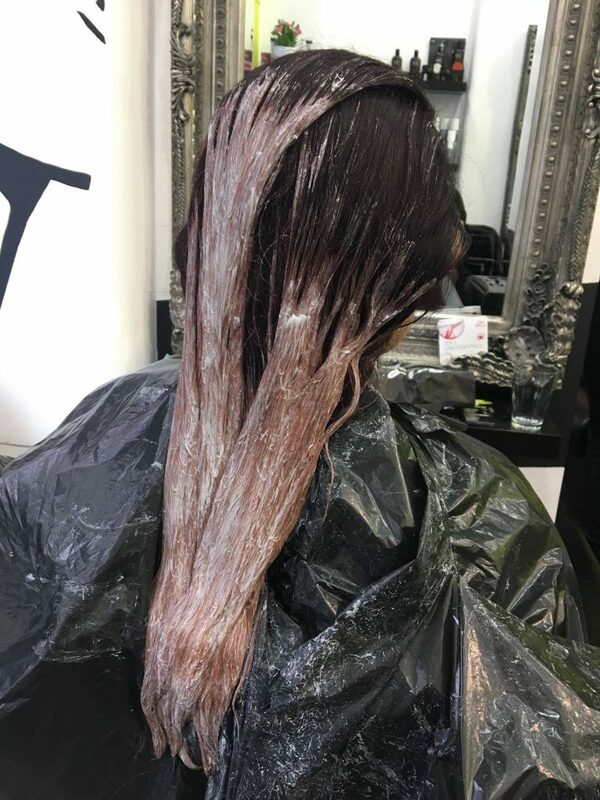 A very complex process involving loads of chemical procedures and steps that’s best left to expert hands if you want to make sure you minimise damage to your hair and get the best result possible. 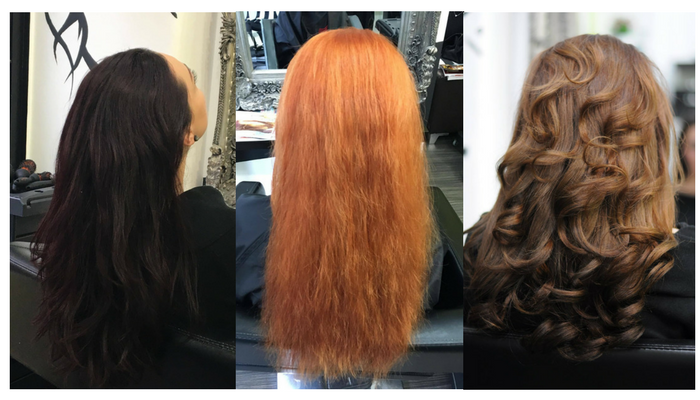 Here is the case study of a dear client who was looked after by Sabina and went through a lightening process. The images speak for themselves really but the haircare advice is a must-read. Bleach opens the hair shaft by raising the hair’s outer cuticle, allowing the bleaching agent to fully penetrate. 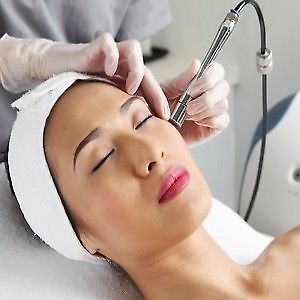 It then strips pigments and removes colour from the hair by the process of oxidation. Oxidation decolourises the pigments in your hair shaft and makes dark brown hair turn fox red. 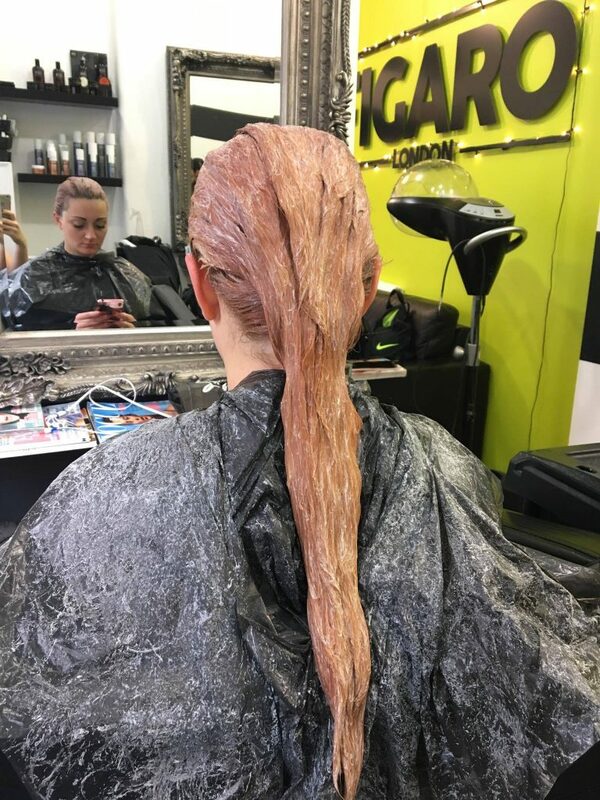 In this client’s case, a second step of bleaching was necessary in order get a completely even colour base. The longer and more voluminous the hair, the more probable it is that a second bleaching will be needed. 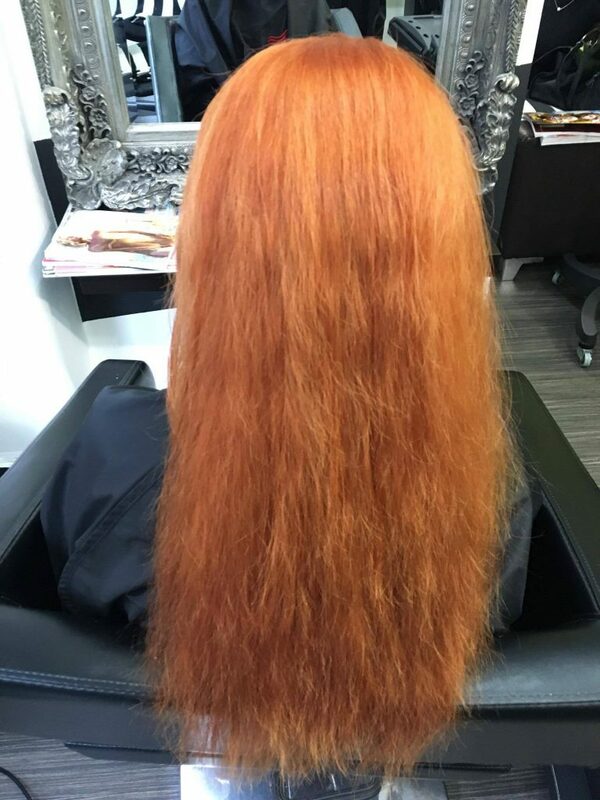 The hair is then thoroughly dried in order to see the actual colour base. Only after drying can we start thinking about mixing the appropriate cover colour. 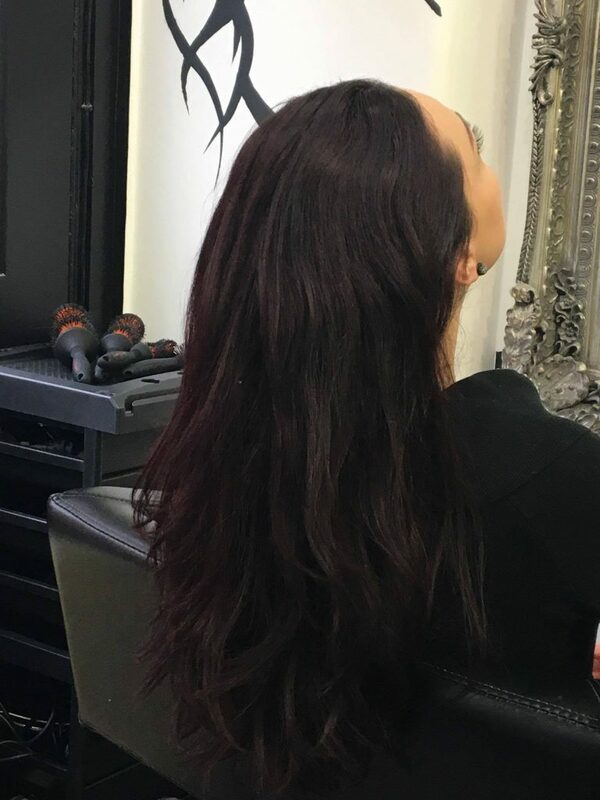 Now that’s where a colourist’s expertise comes into play where they determine how exactly to achieve the colour you’re after. With the application of the cover colour, Sabina re-pigmented the hair with pigments reminiscent of natural chestnut and hazelnut – a precision work to ensure even and smooth coverage. 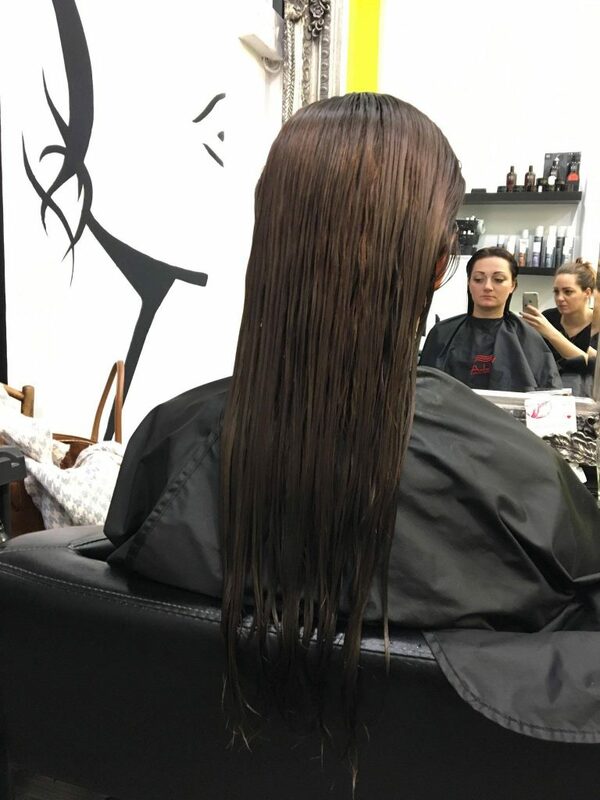 We used Wella Illumina, a premium sheer hair colour that’s luminous in every kind of light and provides superior light reflection and hair protection. 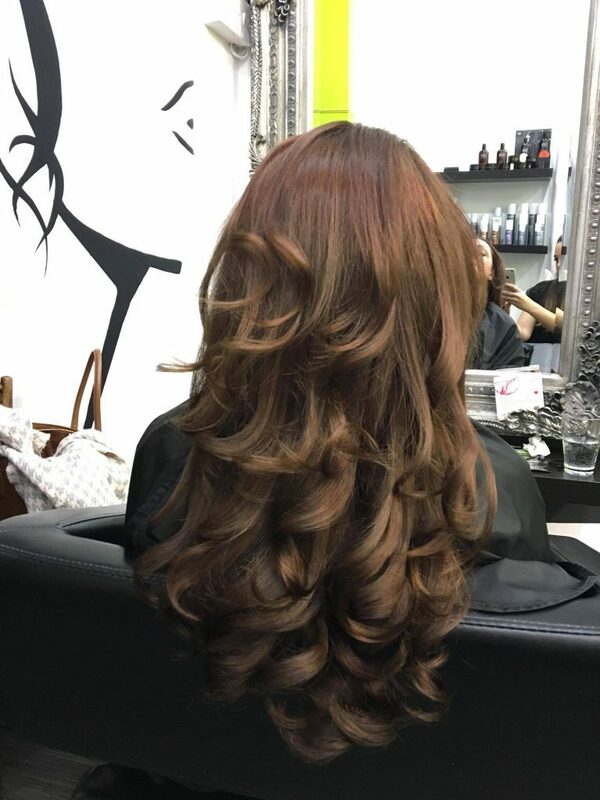 The finishing blow dry is the most exciting part of the process as it will reveal the true colour. As the hair grows and the natural darker shade emerges, this look can be maintained easily with a simple root touch up. After a colouring session, your hairdresser would tell you not to wash your hair for at least 3 days – preferably a few days more if you can wait. At home maintenance is absolutely crucial in order to achieve a long-lasting result and get the most out of your investment. We usually recommend Wella Colour Protecting shampoos – the range has a specific shampoo for each hair type and chemical treatment group. We tried and tested them all so we can advise you which ones would suit your hair best. Bleached hair is more vulnerable to damage and snapping. Therefore, we highly recommend you use products that encourage the cuticles to close, so that the hairs’ moisture content and integrity is maintained. Conditioning is very important. 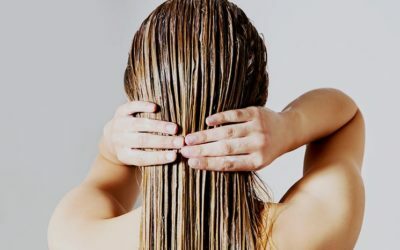 Leave the conditioner on your hair for at least 5-7 minutes before rinsing out. Special pigmenting hair masks can also be used to help keep the intensity of the colour and nourish your hair. When using a mask, make sure you apply it once a week on warm, wet hair, put a shower cap (a plastic bag will also do) onto it and wrap it all in with a towel to keep the heat inside. Leave the hair mask on for 20 minutes and see the difference it will make. Any sort of chemical process performed on your hair can make it drier than before. If your ends are more prone to get dry, a tiny bit of hair oil applied on the ends only will help a lot to prevent split ends. 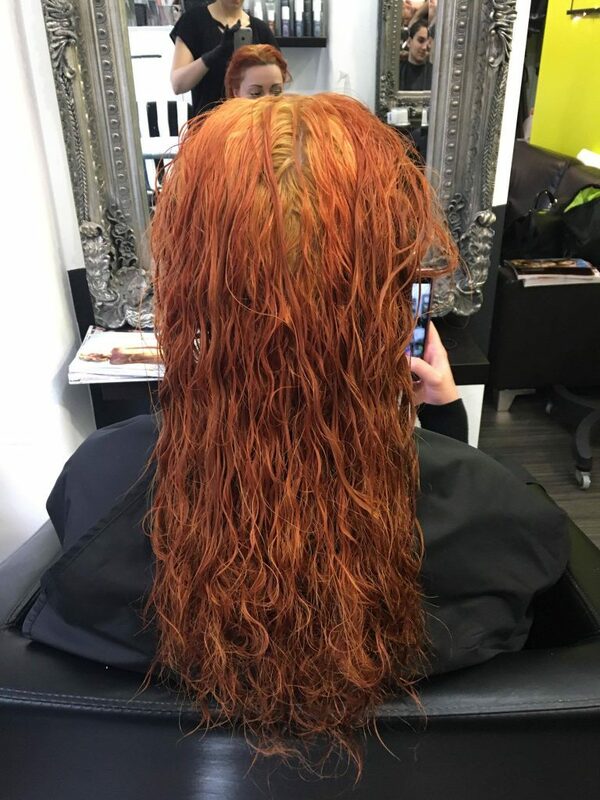 We hope this article will help you understand better what goes on at a colour appointment and how you can protect your hair to minimise damage. Next time, we’ll show you another similar case study with Joey. Stay tuned. PS: Make sure to follow us on our social media pages for more helpful advice, inspiration and the occasional bargain offers. Here they are: Figaro London’s Official Facebook page, Figaro London Beauty page – focusing on all things beauty and skincare related, Twitter, Instagram, Google+. Looking forward to seeing you there too. PPS: Join our mailing list and become a Figaro London Insider. You’ll be first to learn about exclusive offers, discounts and giveaways, competitions and news, plus you’ll get personal invitations for exclusive events we don’t talk about anywhere else.